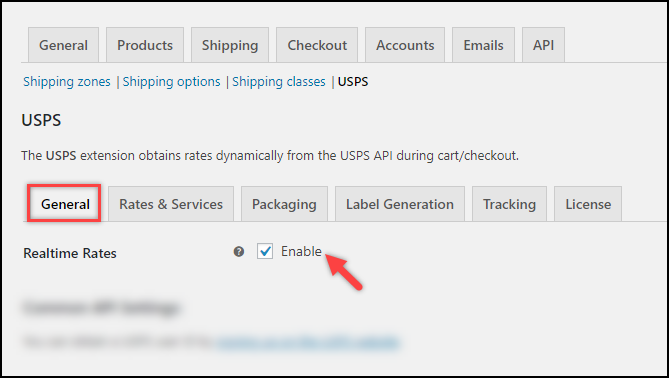 Dashboard > Plugins > Installed Plugins > ELEX USPS WooCommerce Shipping > Settings. 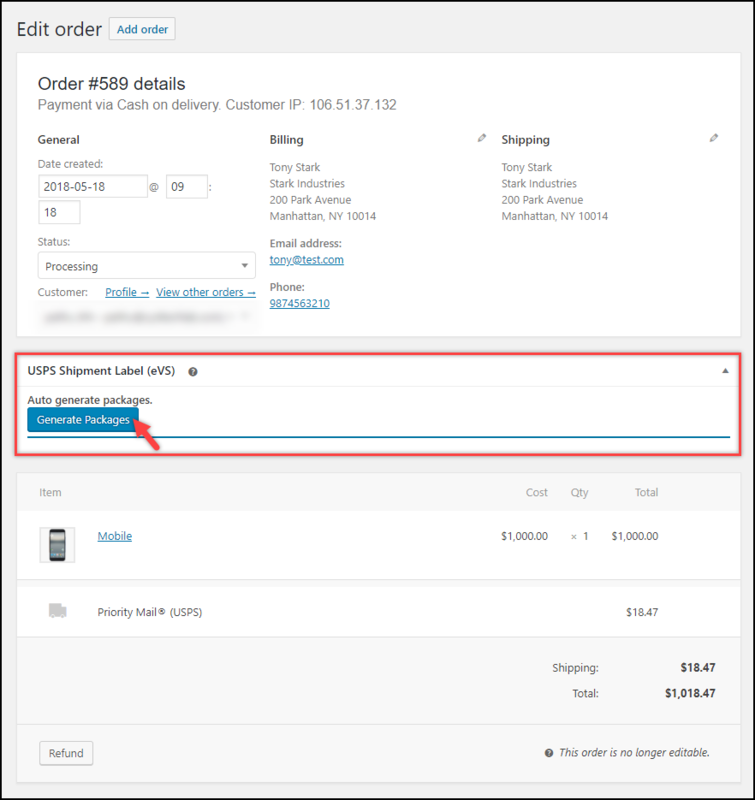 You can enable or disable the desired services, set up price adjustments, Rates API settings, Flat rate settings and other relevant settings. 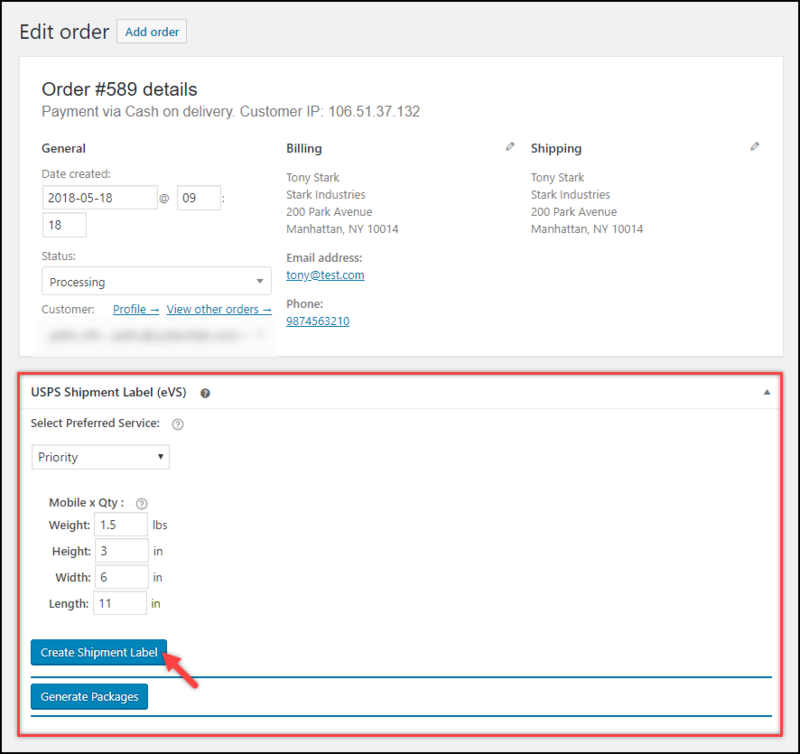 Select Enable option in the Shipping Label setting under Label Generation tab, to enable shipping label generation. 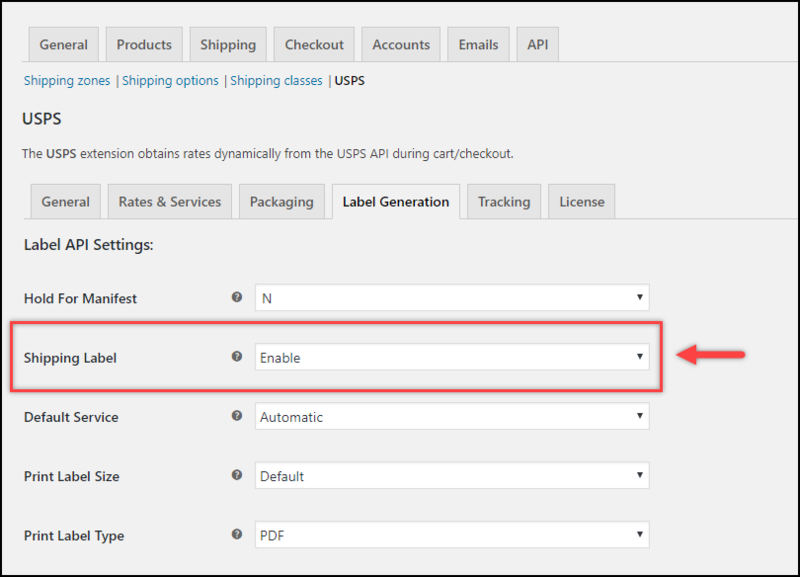 For detailed information, read the Label Generation Settings section of the setting up documentation. 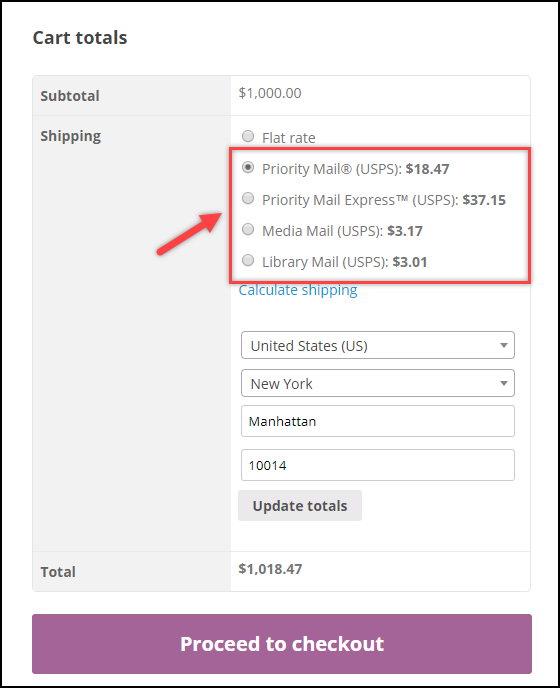 In the individual order page, scroll down to find USPS Shipment Label (eVS) meta-box. 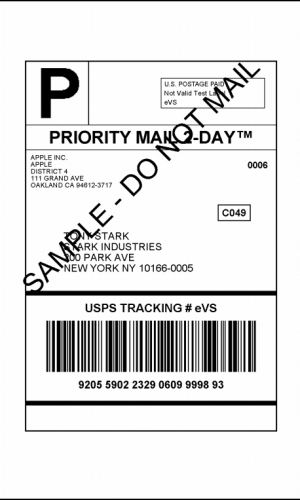 For more detailed information, read USPS Label Generation section in the setting up documentation. 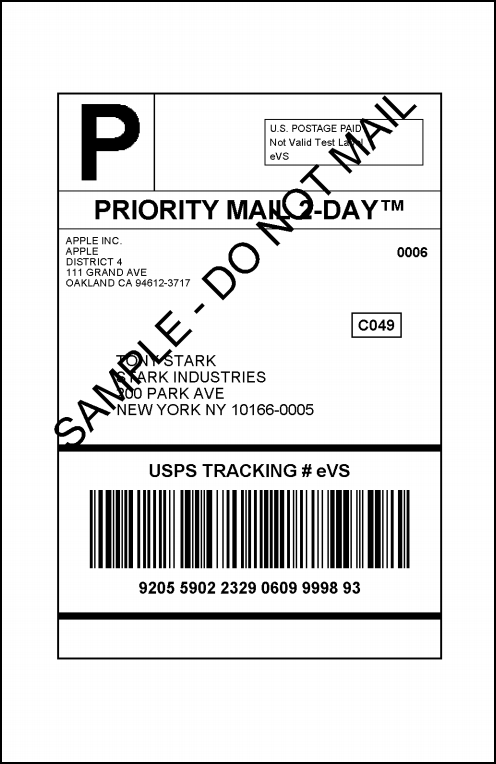 A sample domestic shipping label is shown on the left.